How is the Orthodox Church organized all over the world? What is the difference between, say, Greek Orthodox and Russian Orthodox? Do you have an international head like Roman Catholics have the Pope in Rome? These are great questions, and rather easy to answer. The Church is the gathering of the Christian people in a particular place, united to their bishop, presbyters and deacons, celebrating the Eucharist as their divinely given bond in Christ. “This is my Body” is both the Eucharist and the Church! Led by their bishops, Churches in a region or country come together to form what is called an Archdiocese or Metropolia or Patriarchate. Typically, the bishop of the main city – for instance Athens in Greece – is the presiding bishop or primate. Sometimes, the regional structure is called a Patriarchate and its presiding bishop is called Patriarch, for instance the Patriarch of Bulgaria is the bishop of Sofia. Historically, the bishop of Rome was the first among all the bishops and was granted special privileges to help maintain the bonds of communion through the Christian world, for instance the right to refer appeals to a final court. After the schism of 1054 which was never healed, the bishop (patriarch) of Constantinople (modern-day Istanbul) receive the role of primate, and this continues to this day. But the Patriarch of Constantinople is by no means a pope having power over all the Churches; he is simply the first among the other primates. 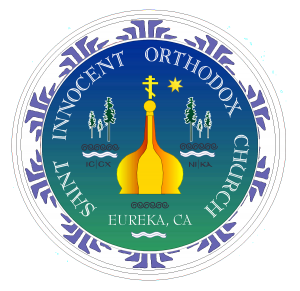 The international Orthodox Communion can be described as a federation of regional churches, which are themselves constituted of the basic cell or unit which is the Church proper in every city, each having a bishop, presbyters, deacons and God’s people.